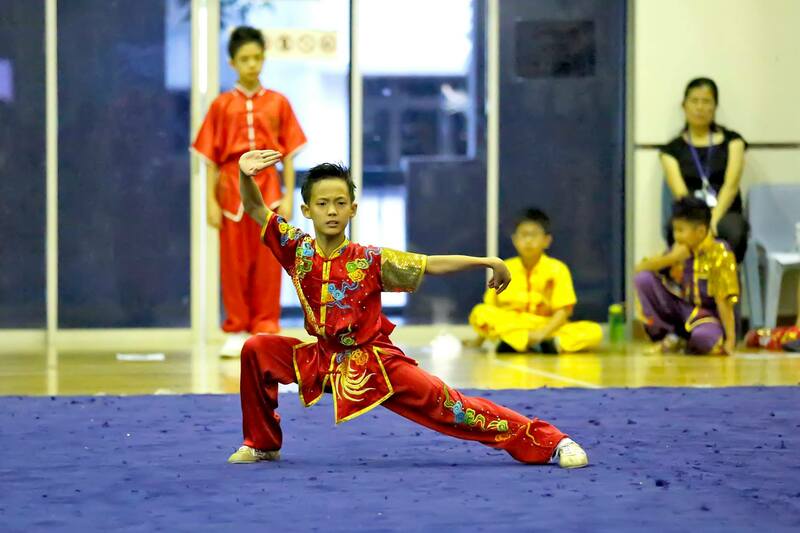 Yesterday marked the conclusion of the primary schools segment of the National School Games Wushu Championships 2019. 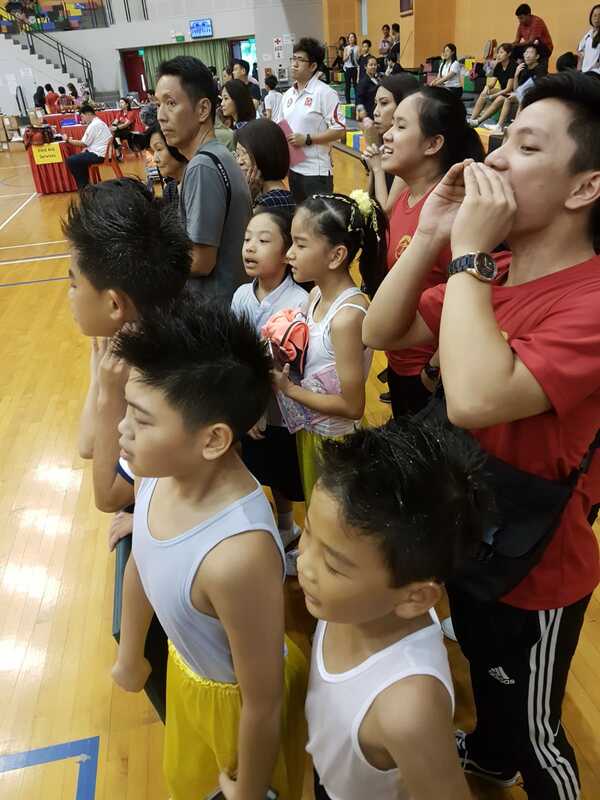 After some fierce battles, lots of tension, loud cheers, sweat, blood, tears, and did I mention hair spray; Xuan Sports has enjoyed a pretty fruitful ending. 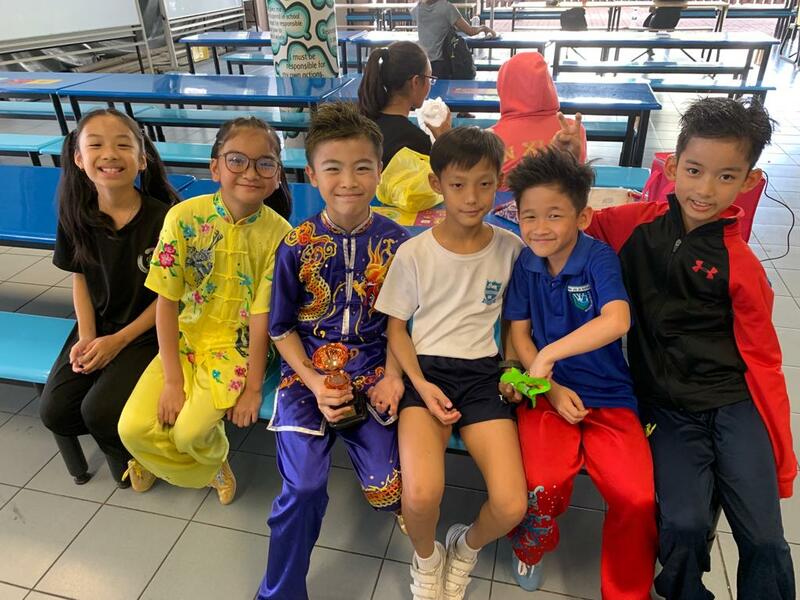 Of the 91 individual events, Xuan Sports athletes clinched a total of 32 Golds, 26 Silvers, 13 Bronzes and 17 fourth positions! CONGRATULATIONS to all our medallists for reaping the fruits of their labour. All the months of tough training that they have put in and endured, has culminated into this glorious moment. 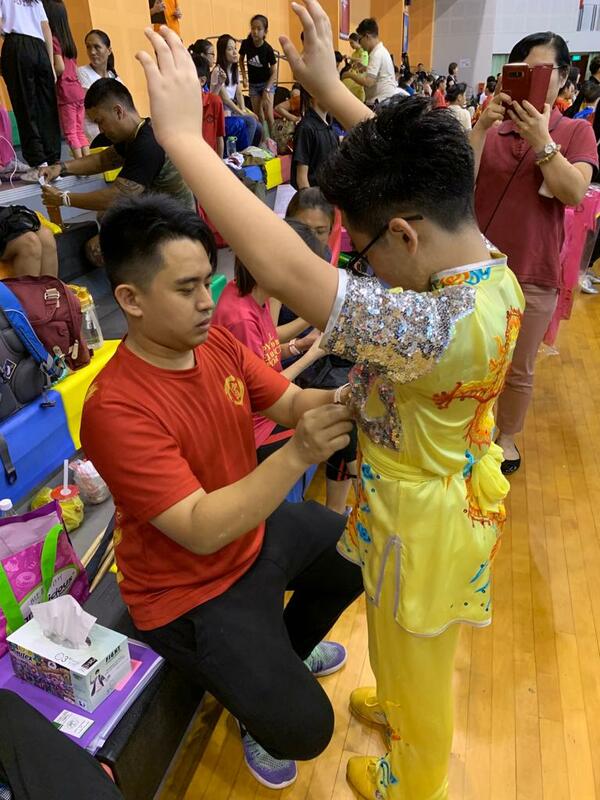 On the other hand, our coaches have simultaneously put in their hardest effort to train every single student for this competition. Without hard work on both sides, such wonderful results will not be achievable. More often than not, there is a group of people that are being left out in such discussions: the parents. In the Xuan family, parents are tantamount to the head chef, who is the one making the final touches in the dish. Without their strong support in everything, all these would not have been possible. 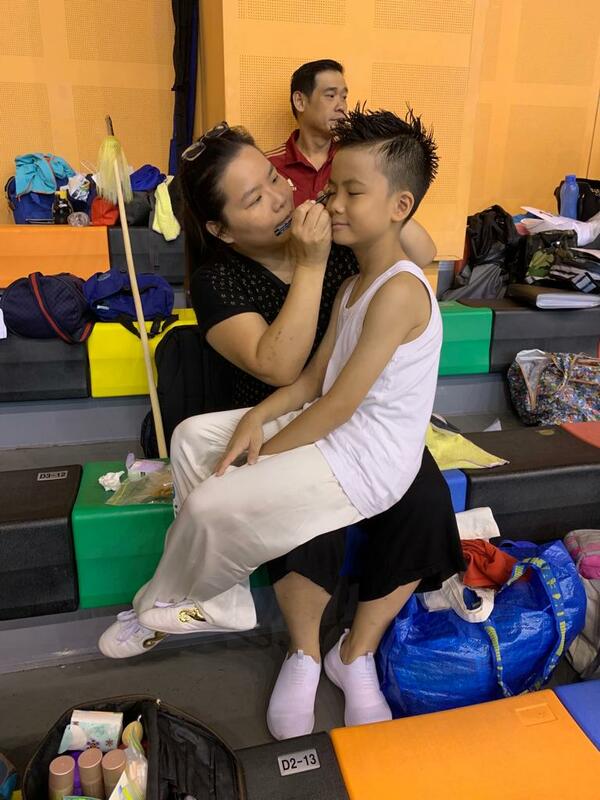 Parents in the Xuan family are formidable personnels, whom, besides holding their day jobs, will transform into semi-professional make-up artists, hairstylists, photographers, cheerleaders and even coaches in this period! For this, we give our kudos to them. 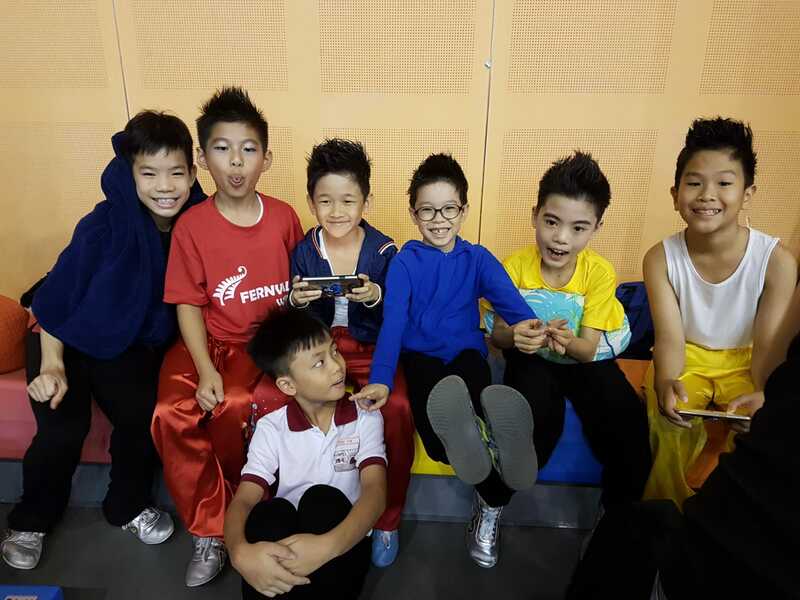 Of course, we will not forget the lead actors of our topic of discussion here: Xuan Sports athletes. They are the stars of this ‘show’ and all of them are winners in our hearts. 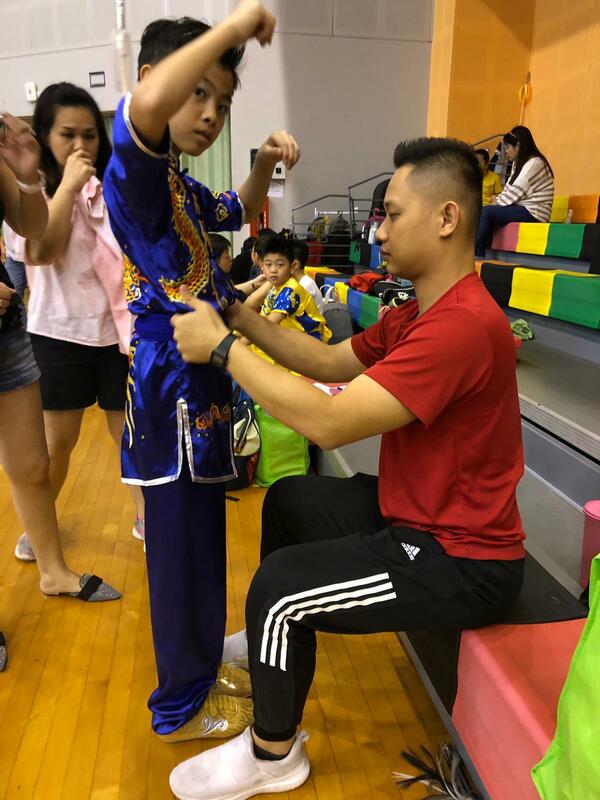 Here, we would like to take the opportunity to highlight some of our up and coming Xuan Sports athletes. 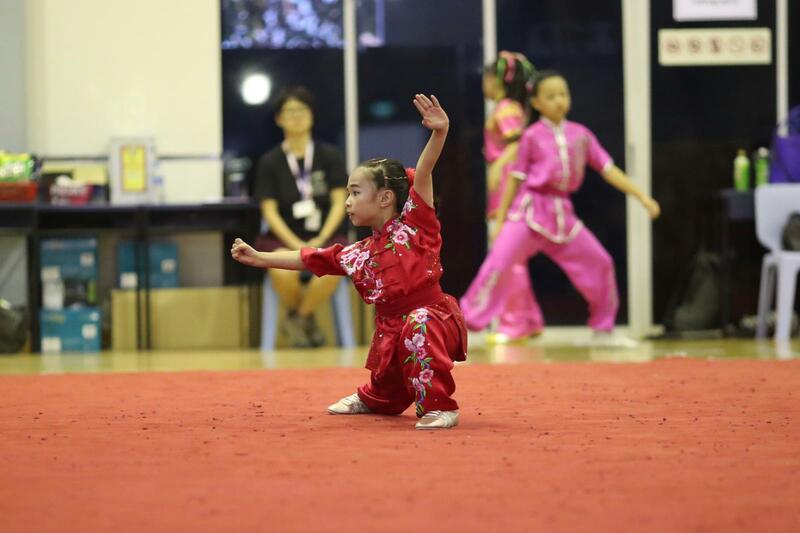 Formally a Taekwondo athlete, Megan only made the switch to Wushu one year ago. 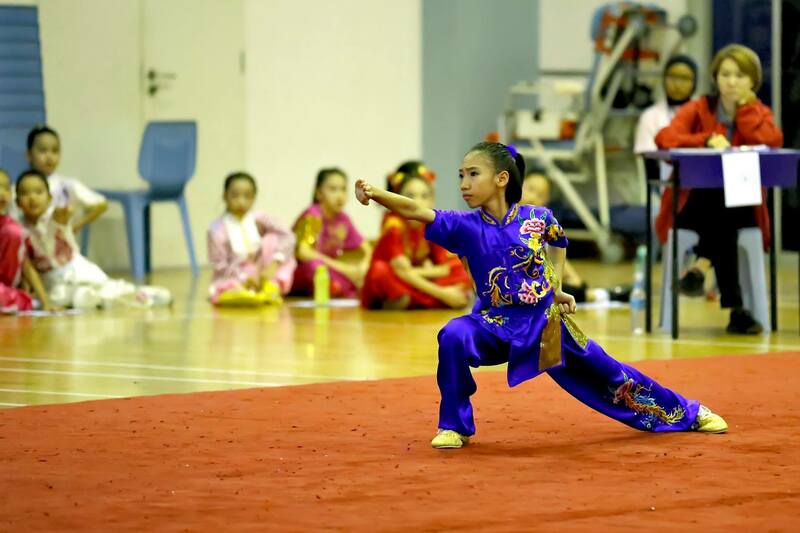 She has put in tremendous amount of tough trainings in her journey and this was her maiden attempt in the NSG Wushu Championships. 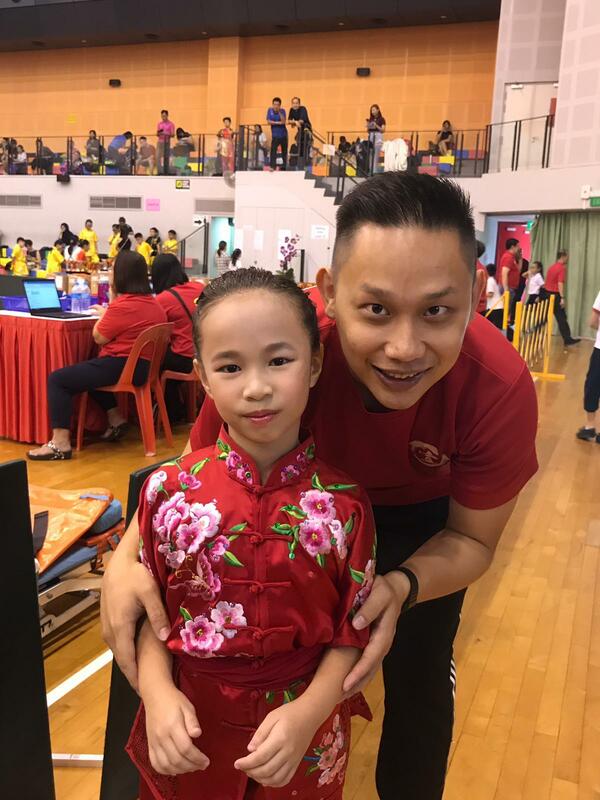 With a silver medal for 3-duan Changquan and gold medal for 5-duan Cudgel, Megan is one of the fastest rising stars in Xuan Sports. Consistent hard work has indeed brought her to where she is today. Congratulations, Megan! 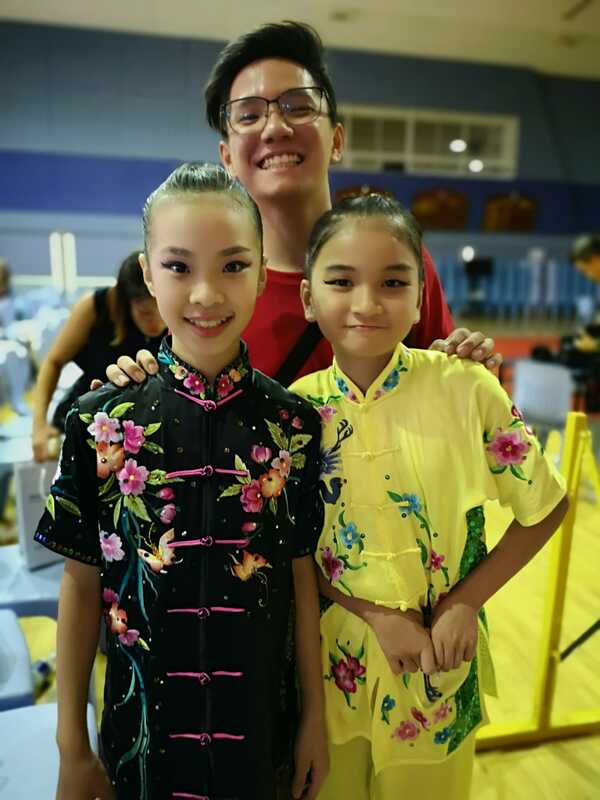 Hong Rui is pretty new to the Xuan family, joining us only last year. 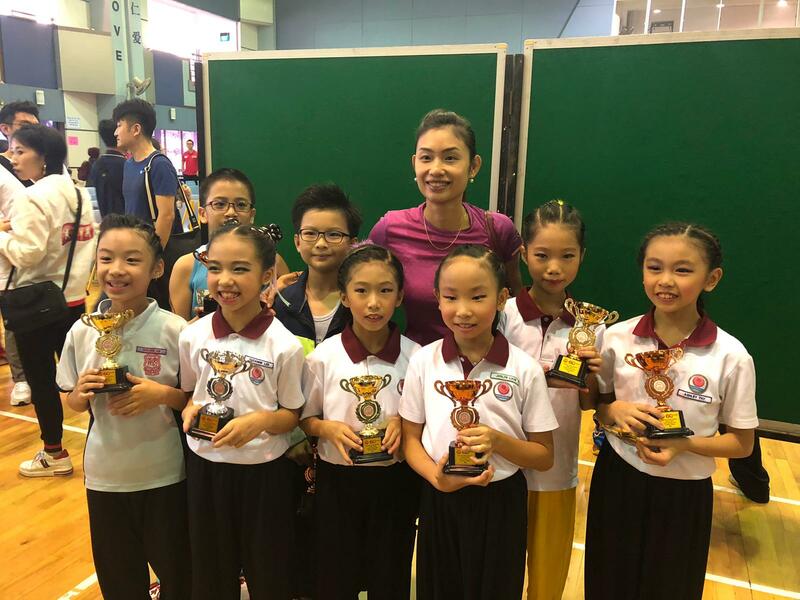 Worthy of mention is Hong Rui’s courage and resilience in this competition. 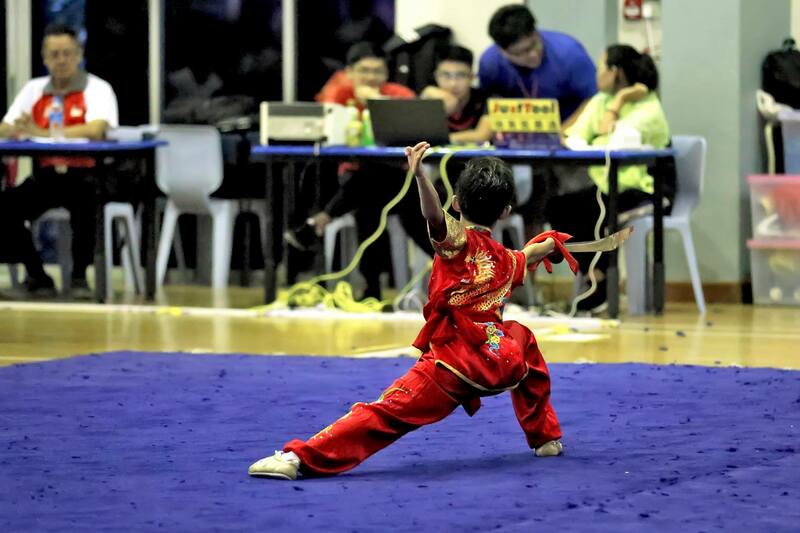 In his 1st International Spear routine (Senior Boys), Hong Rui missed his grip and dropped his spear. 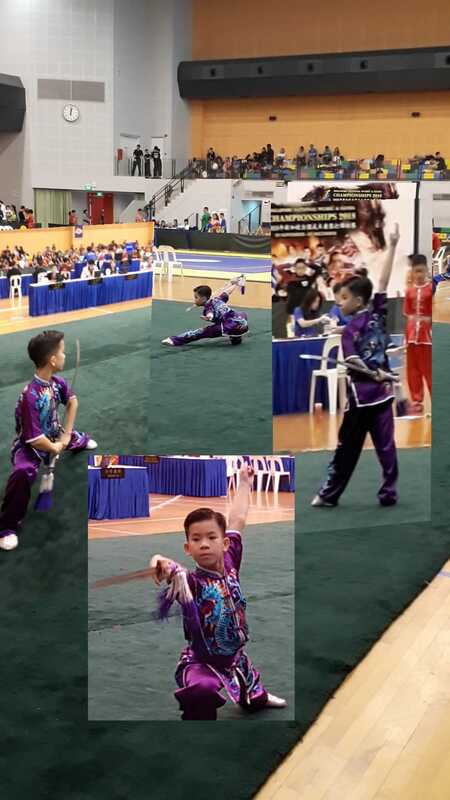 Nonetheless, he showed true grit and determination by composing himself to finish the routine after that. 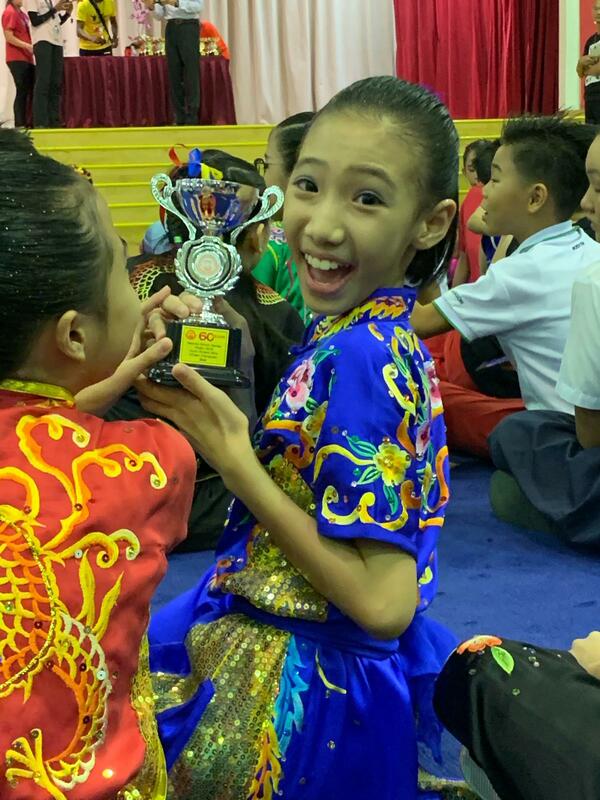 With encouragement from the rest of the Xuan family through the cheers, Hong Rui made it through without showing despair. We admire his courage as he exemplifies what it means by not giving up. Hong Rui finished one position short of top 8. 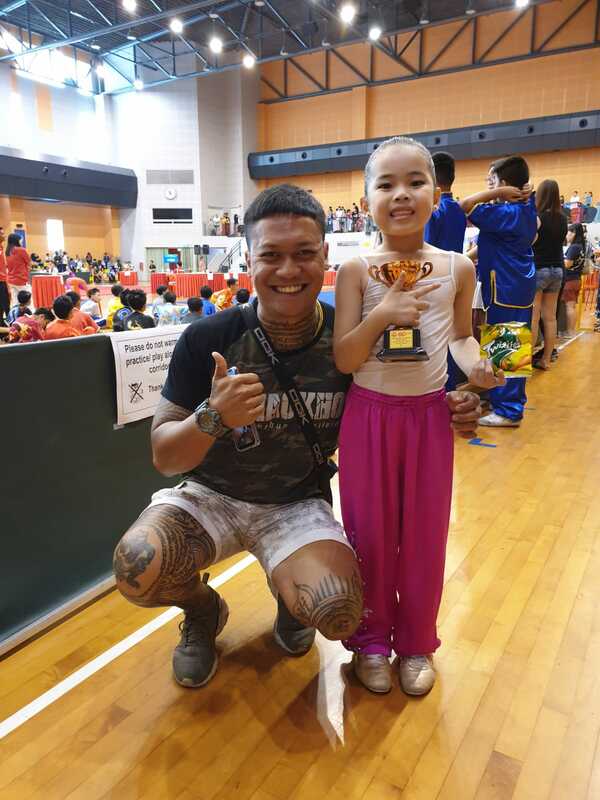 Yet, we are all proud of him for displaying true sportsmanship in this event. 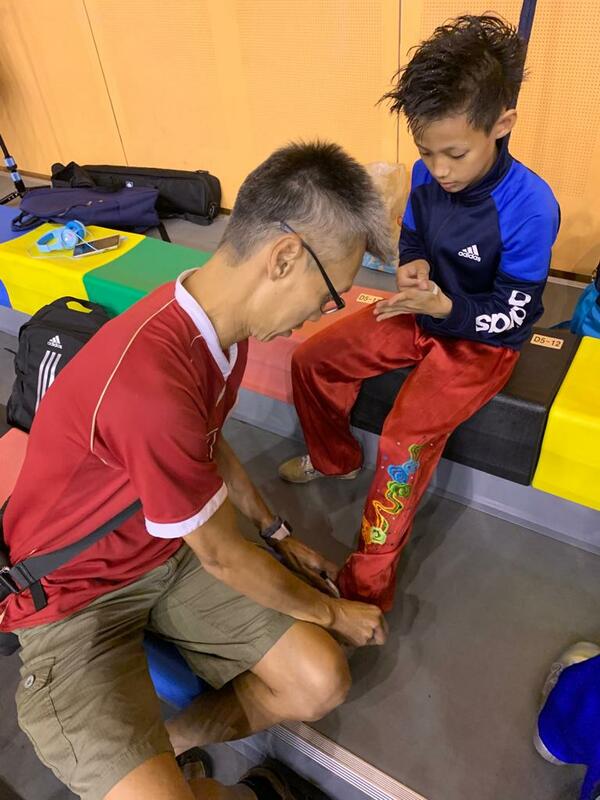 However, to paint a true full picture of Hong Rui, we have to mention that he was the gold medallist in the 1st International Sword (Senior Boys) event four days ago. 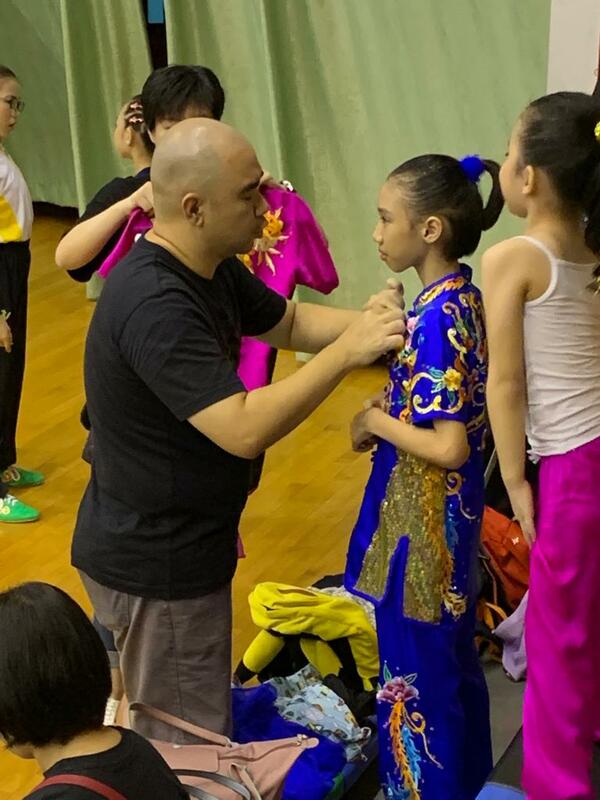 So, all is not lost for Hong Rui. 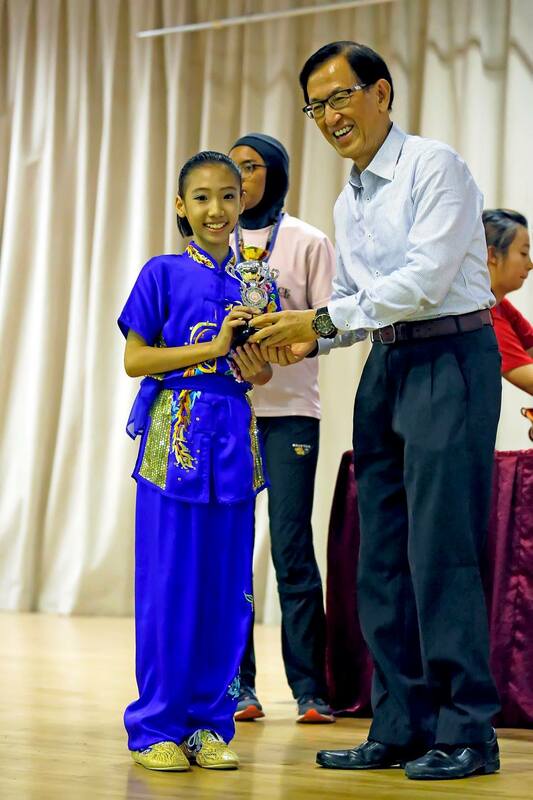 Good job, Hong Rui! A quiet boy, who is somewhat popular among his peers. 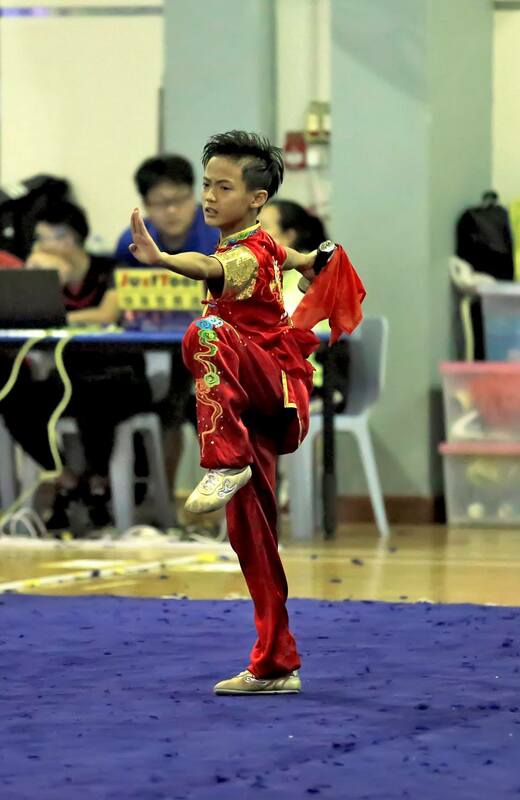 Julius looks like a harmless little boy on any other normal day but when he steps on the carpet, he has an incredible presence that is worthy of a leading role in any Kungfu movie. Incredibly talented, Julius’ 1st International Cudgel routine is worth mentioning here. 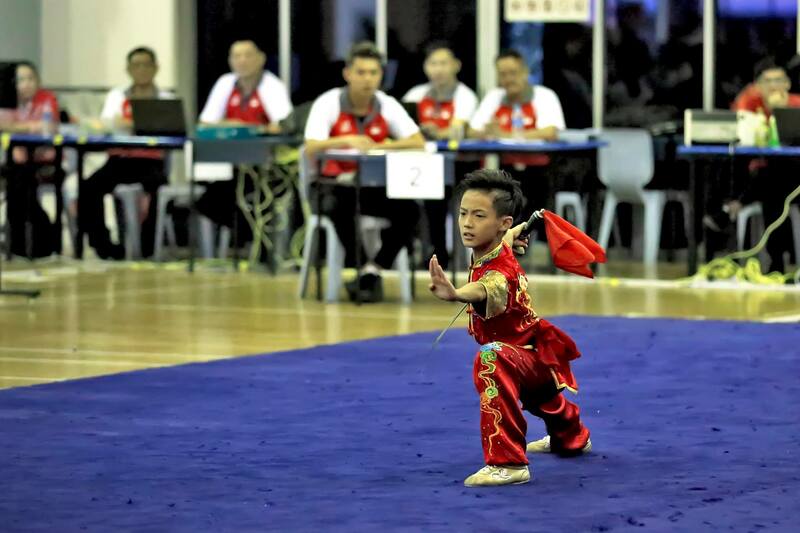 Through the thunderous roars of cheers and facing a strong opponent, Julius delivered a flawless routine, handling the cudgel as if it was part of his limbs and breezing through every stunt effortlessly. 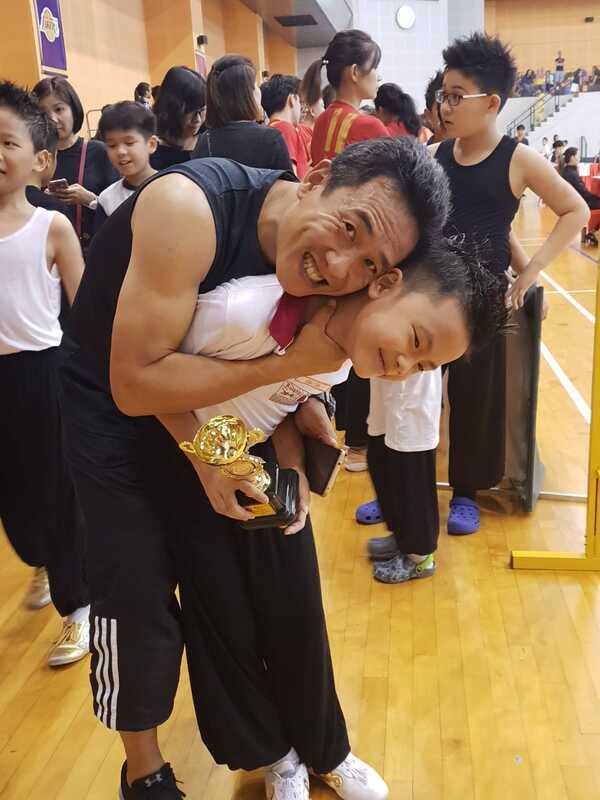 His performance propelled him way ahead of his opponents to clinch the gold medal. Awesome, Julius! 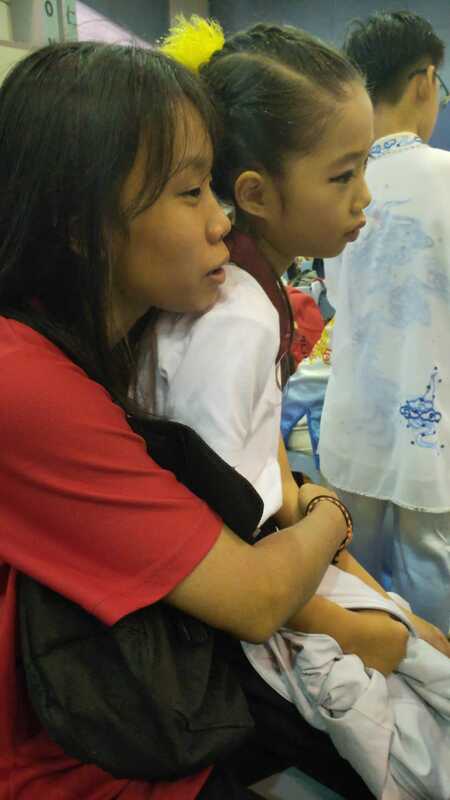 Krislyn is among the most petit of our students for her age. 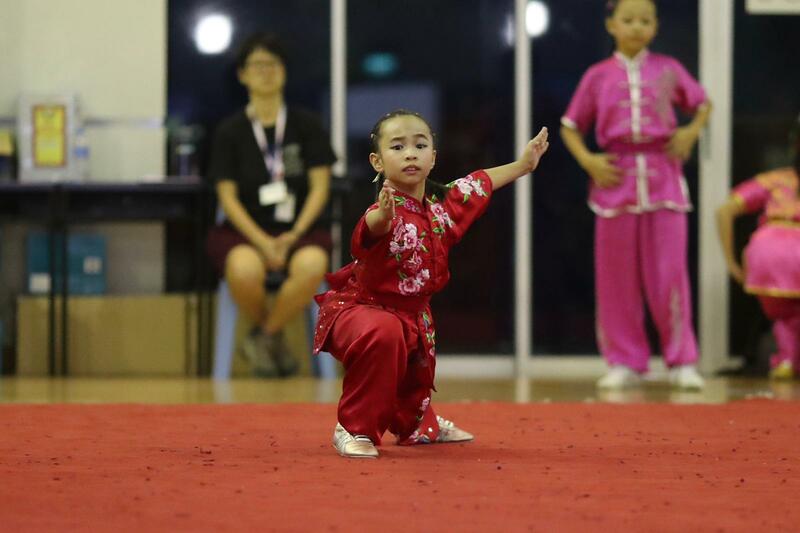 She is a quiet girl who is also one of the favourites among parents due to her cute appearance. 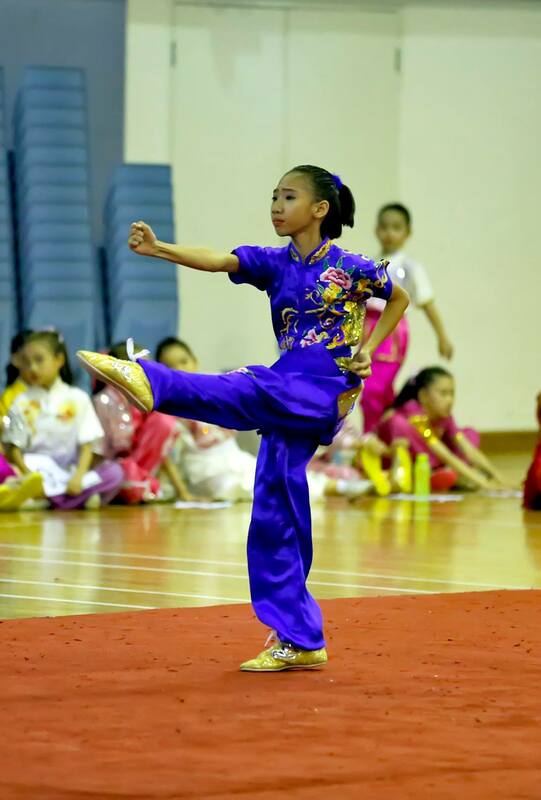 Krislyn has consistently trained hard alongside her elder sister, Pearlyn, although they do different routines. 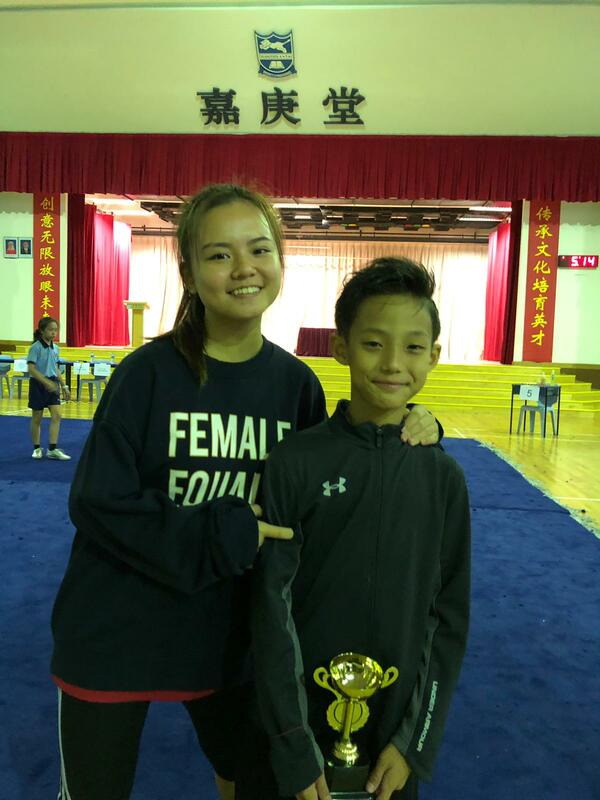 Also her maiden time in the NSG Wushu Championships, Krislyn has clinched the fourth position in the 4-duan Cudgel Junior Girls event. 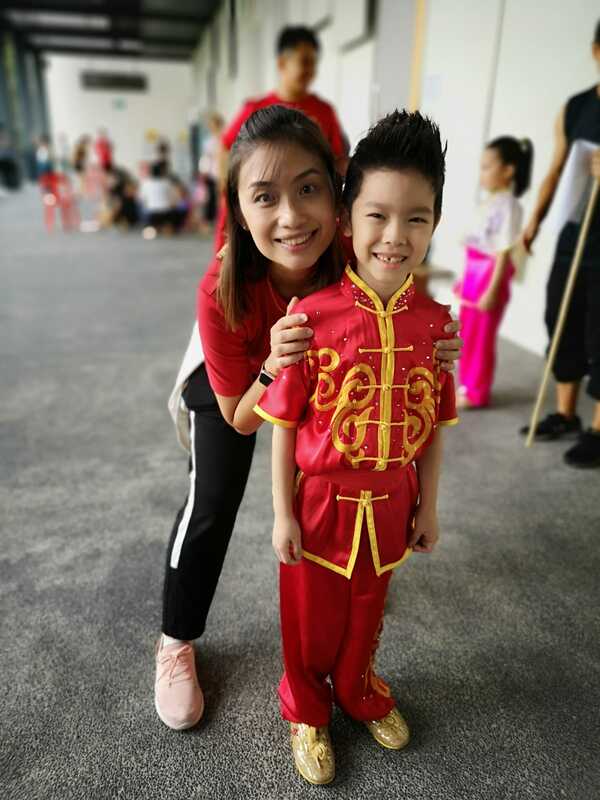 She has come a long way from being our Basic Wushu class student to becoming one of the upcoming stars among our Elite Wushu athletes. 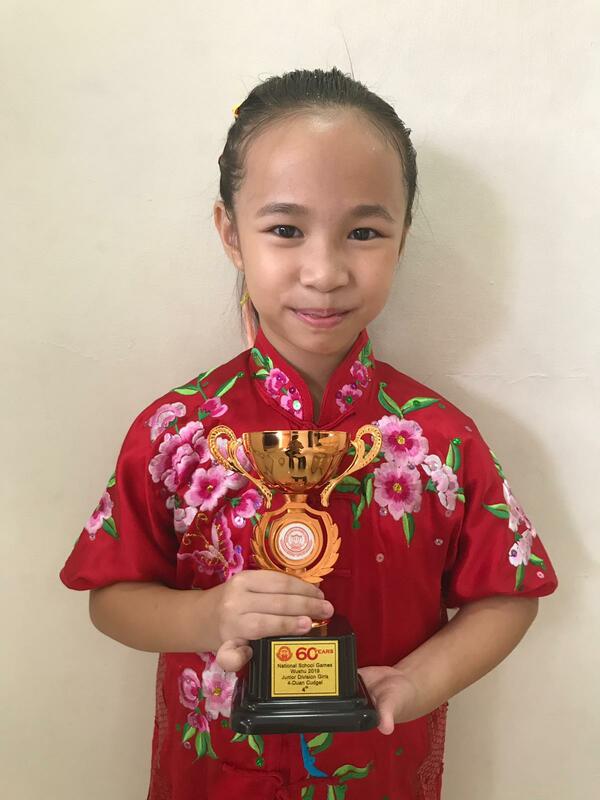 Well done, Krislyn! 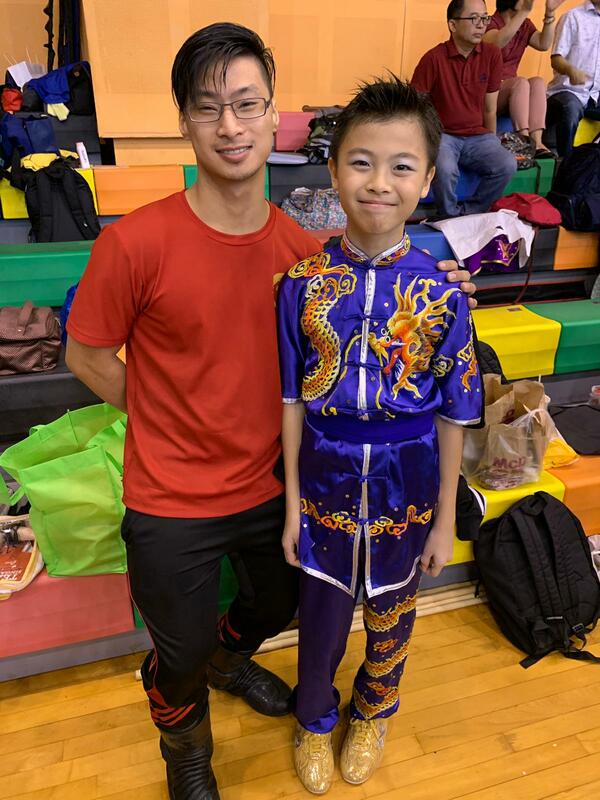 We wish we could feature every single student in the Xuan family because everyone has an interesting story in their journey in Wushu. 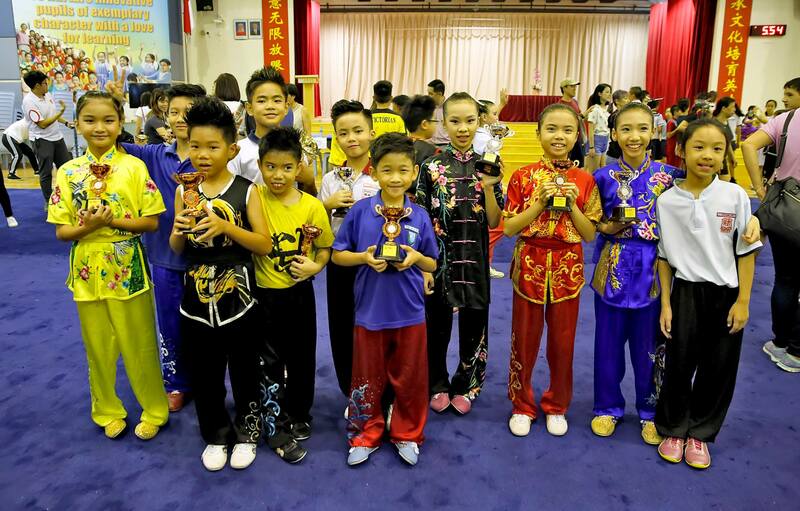 And every single student contributed to the fantastic results for this competition. 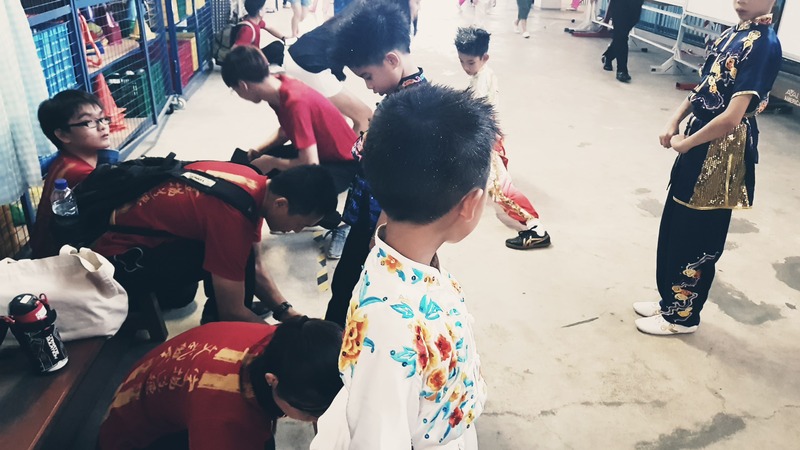 All in all, the Xuan family is happy and now, the primary school students are passing on the baton to their secondary school/junior colleges counterparts to continue the next leg of the show in the NSG Wushu Championships. 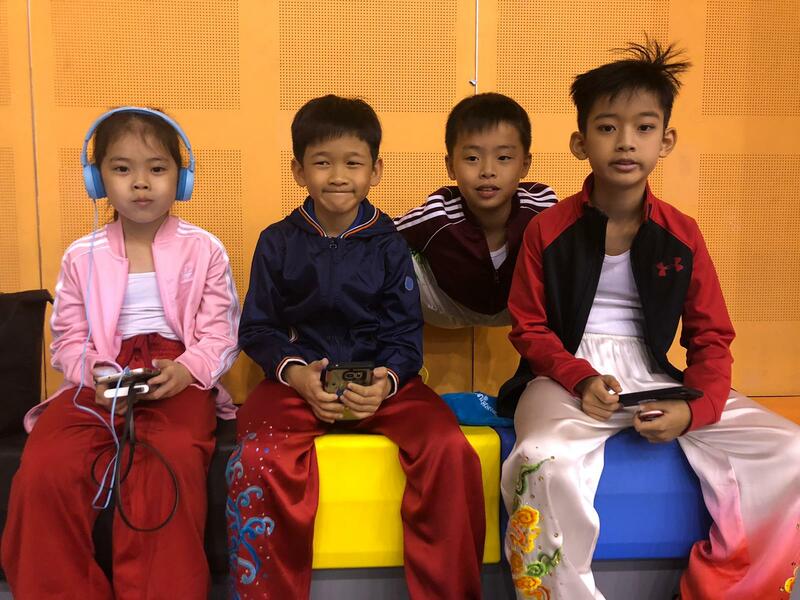 Go, Xuan Sports! P.S. Due to limited resources, we are not able to share everyone's photos here. Sincere apologies for that.